The Column Mount Lock Receiver is a metal bracket that secures the Automatic Gate Lock in a locked position when mounting on a column. 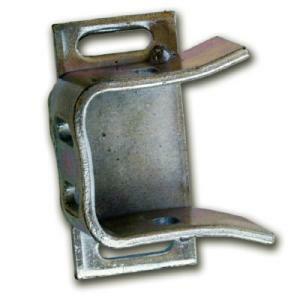 This bracket is compatible with all Mighty Mule gate locks, including the Mighty Mule FM143, or the FM145 Bulldog Gate Lock. The Column Mount Lock Receiver can be mounted on brick columns, walls, or for other applications with limited space between gate and post. This item number: 433IH is shown in the Gate lock manual,but for some reason you can't get it for your gate,because GTO doesn't have it.